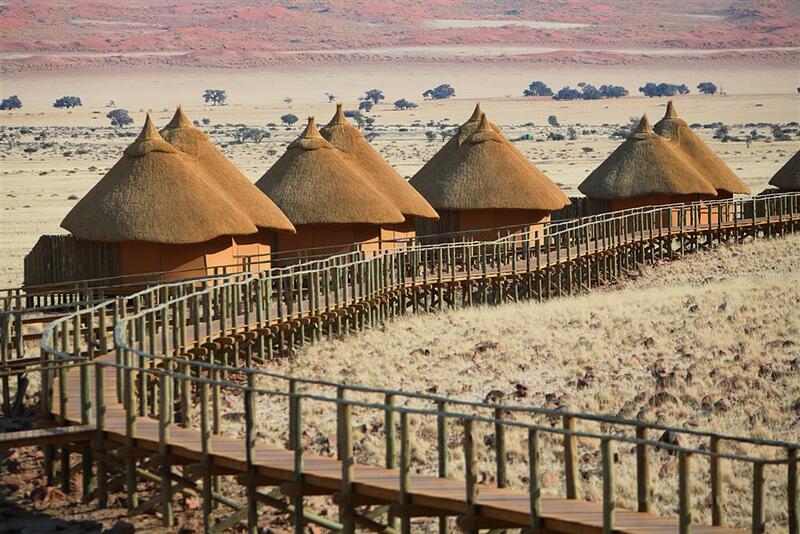 Sossus Dune Lodge is the only lodge actually within the Namib-Naukluft Park, opening in 2007. Built in an environmentally sensitive manner, primarily from wood, canvas and thatch, the lodge has 23 desert chalets and 2 honeymoon suites. Each desert chalet has been erected using a wooden frame with orange/yellow canvas for walls and a thatched roof. The chalets are linked by raised wooden walkways and have been constructed from rock and stone found locally. All chalets have an en suite bathroom, complete with hot shower, basin and flush loo. 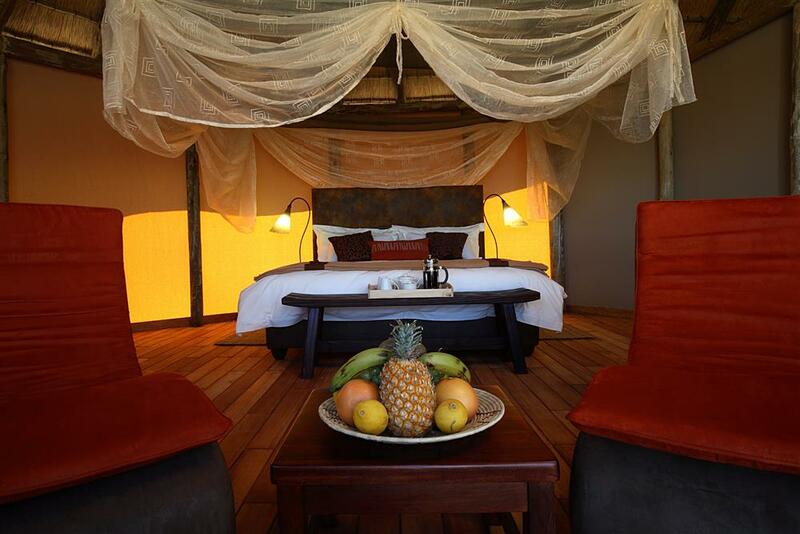 Rooms also have mosquito nets, solar powered lights and fans, and environmentally friendly toiletries. The chalets are fronted by floor-to-ceiling glass to make the most of the views of the surrounding desert. Situated within the park, guests benefit from being able to reach Sossusvlei before sunrise and stay until after sunset. 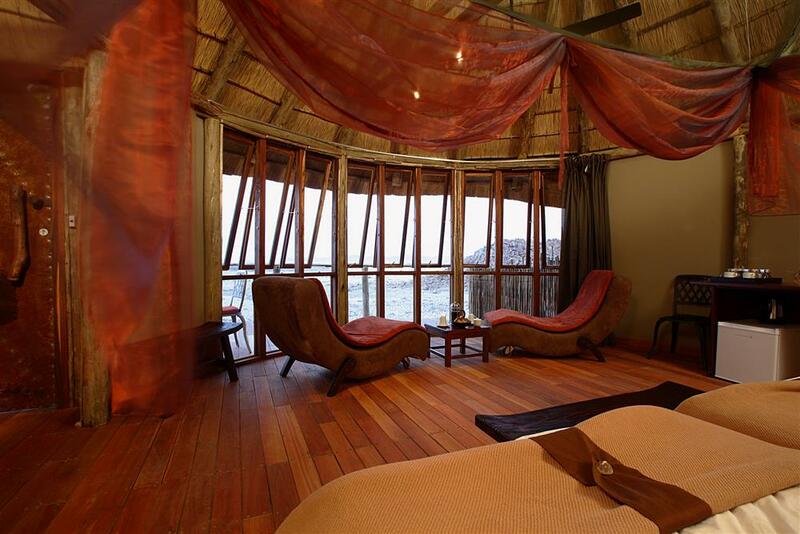 Sossus Dune Lodge offers professional guided tours, exploring the biological diversity of the desert environment. 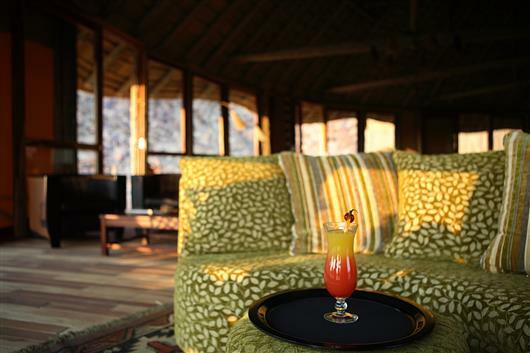 Activities include a sunset drive in Sossusvlei, guided nature drives, and guided after-dinner stargazing walks. Guided walks to the Sesriem Canyon can also be arranged.